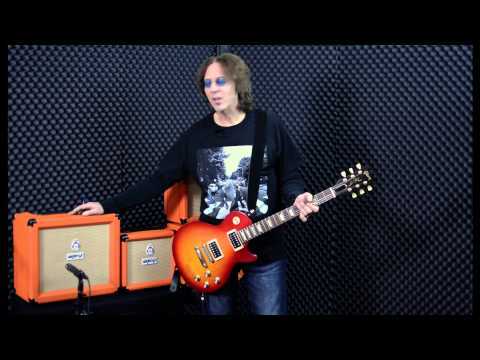 1-channel transistor guitar combo from Crush series offering typical Orange sound even with its compactness. It features 3-band EQ and preamp with overdrive control. Combo offers the power of 12 W and is equipped with one 6" Voice of the World speaker. In addition, it is equipped with built-in Cabsim function that simulates massive tone of Orange 4 x 12 cabinet through the headphone output. It´s operated by Gain, Overdrive, Bass, Middle, Treble, and Volume potentiometers, and offers a 1/4" instrument input and headphone output. Dimensions: 305 x 290 x 175 mm, weight: 4.7 kg. Do you own Orange Crush 12 or have you had a chance to try it?